Let glorious chaos be spread in the name of war and conquest! 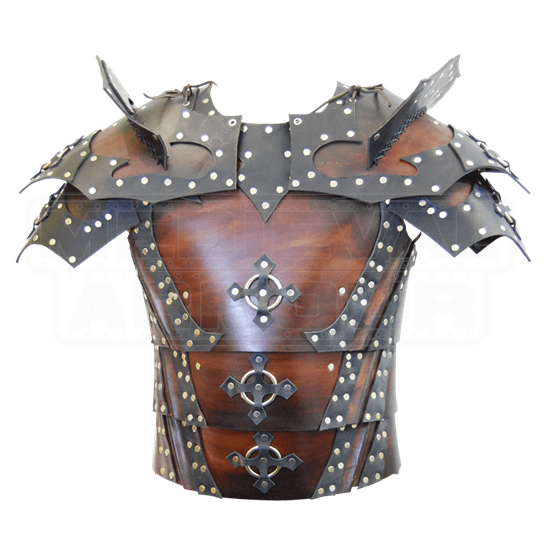 This Chaos Armor is an impressive example of leather armor at its finest, offering great protection and a look worthy of any entropic warrior of pandemonium! Impressive is almost too soft a word for this armor, which features enough detailing to transform any warrior into a statuesque hero who stands out among the mayhem of battle. The armor consists of a trio of leather plates, which wrap around the abdomen and the chest, creating successive layers of protection that any mobile warrior would want to wear. The base plates of the armor display a rich cordovan color, similar in hue to fading mahogany, while the riveted leather adornments contrast the rich coloration with their own black coloration. Adorning the front of the armor is a trio of descending black chaos crosses, set directly over a metal ring, while the back of the armor features a single matching chaos cross at the center of the back. This Chaos Armor also includes a pair of pauldrons, which echo the design of the cuirass, featuring cordovan hued leather plating that is decorated with more supple black leather adornments. The pauldrons are fastened to the armors shoulder straps via ties, while the plates of the pauldrons are belted to the wearers arms to ensure effective, unrestricted movement. The armor is an eye-catcher that will leave other warriors feeling jealous of its detailing. 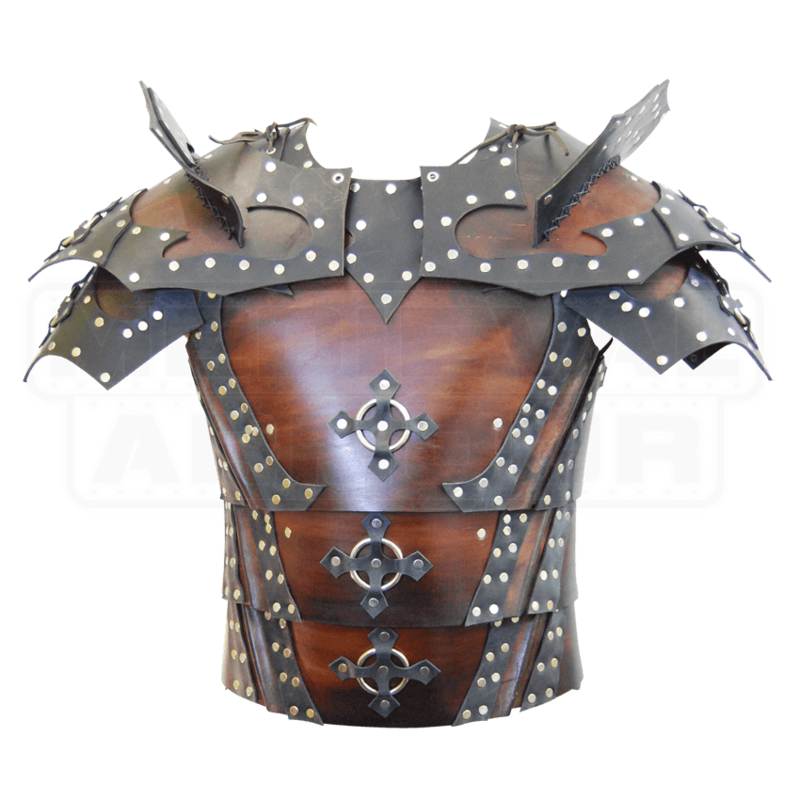 It also comes in four sizes, and thanks to the buckle and grommet belting that secures it around the back, this armor is quite adjustable, too. With that in mind, always order your armor in the size that closest matches your measurements to ensure the best fit possible. Warriors of chaos rejoice, for now there is a suit of armor that openly displays the symbols of entropy and bedlam! This wondrous thing is known as Chaos Armor, and it is a good thing, indeed.